Fresh green "bells" surround the tiny true flowers of palest lavender and white. These bells grow in whorls around the minty-scented hollow stems. Grown for centuries for dried flowers that eventually fade to a tea-rinsed linen hue. This cutie pie has a bevy of soft, fuzzy flower heads that become luminous when they catch the sun, highlighting their irresistible soft plumes. 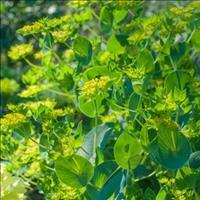 It adds welcome texture to flower beds and edges in lower fertility, well-drained, even sandy soils. A neat and compact grower, it stars in cut flower bouquets and excels as a dried flower of autumn, when the fluffs turn golden beige. Fun to grow and easy peasy, kids will love it! Thorow-wax has chrome yellow flat-topped flower clusters that are prized in floral arrangements as a long-lasting filler, lending bright contrast to purple, blue and orange blooms. Provide fertile, well drained soil. Self sows. A visually arresting variety with yellow-green leaves expertly pencilled with dark pink-red veining, it enlivens cool palettes and harmonizes with yellow flowers in sunny gardens all summer until frost. Color may vary depending on amount of light, with best show in shade. Splashy colors of yellow and lime add depth and interest to your garden pots and beds. This new sun or shade loving coleus appreciates some afternoon shade to look its ravishing best. A 'Prairie Star' coleus, rated excellent for its good looks in containers and borders in the scorching heat of a Kansas summer, in sun or shade. The ruffled lime green leaves are veined and edged in purple, and it plays well with others in large containers, being of moderate growth. Give it even moisture for maximum beauty. A beautiful spring green tinged flower with a full array of petals once was called clematis-flowered. Lime Sorbet is a delight in the awakening spring garden, its numerous flowers held aloft by tall, wiry stems. Easy to grow for a perennial it resists browsing from rabbits and deer and welcomes pollinators. It thrives in well-drained soils that stay lightly moist, so some humus would be beneficial. Full sun to partial shade in the North, partial shade a must in hotter climes. A show-stopping new annual with magenta orbs dancing above lime lance-shaped leaves. 'Cosmic Flare' blooms all season long and is a heat tolerant addition to pots and garden beds. Provide evenly moist, well-drained soils. Patented. Of Mediterranean origin, greater quaking grass has flowers reminiscent of flattened hop strobiles that dangle in bunches from wiry stems. The flower heads turn from green to a golden hue as summer wanes. 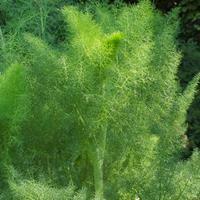 An heirloom variety, its graceful animation adds a lively note to your annual garden. Listed in a Breck 1842 catalog. Photo courtesy of Nan Ondra. 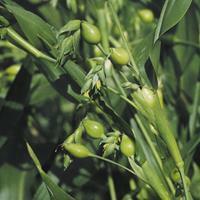 Looking for all the world like small corn plants when young, it later matures bunches of pearly seeds. Believed to be one of the oldest grasses in cultivation, it was ground into flour or strung for rosaries, necklaces and teething beads. Offered in a seed list of 1810. Add a swath of spring green to perennial borders and along pathways, especially beautiful and useful in partly shaded locations. Great when combined with dark purple foliage and stunning en masse. 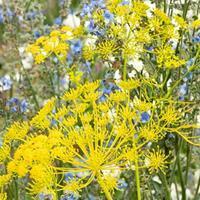 Seldom seen in cultivation, 'Goldspray' is one of the very best fillers for bouquets. Glowing seemingly from within in vaseline glass green, its 5” wide umbels of lacy flowers bloom throughout summer and are long lasting in the garden and vase. 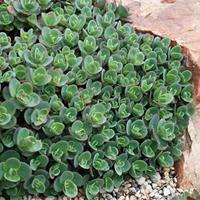 Soft green rosettes of succulent leaves are edged in rose red and in late summer the flowers simply take over- covering the plant with a carpet of hot pink fuzzy blooms. 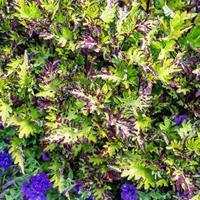 An easy, drought tolerant plant for gritty well-drained soils it is a hardy and colorful groundcover.